Ubuntu Core uses the same kernel, libraries and system software as classic Ubuntu. You can develop snaps on your Ubuntu PC just like any other application. The difference is that it’s been built for the Internet of Things. Secure by default - Automatic updates ensure that critical security issues are addressed in the field, even if a device is unattended. Lower costs - Ubuntu Core is free. It can be distributed at no cost, with a custom kernel, BSP and suite of apps to suit your device. Unrivalled reliability - Transactional over-the-air updates — with full rollback features — cut the costs of managing devices in the field. Hassle-free app stores - You can easily deploy your own app store and curate a suite of certified apps from an open ecosystem. Ubuntu Core is different from classic Ubuntu distributions. It is purposely lightweight and transactionally updated system, with security at its heart. The fundamental unit is the “snap” — a self contained, isolated and protected bit of code that performs a well-defined set of functions. 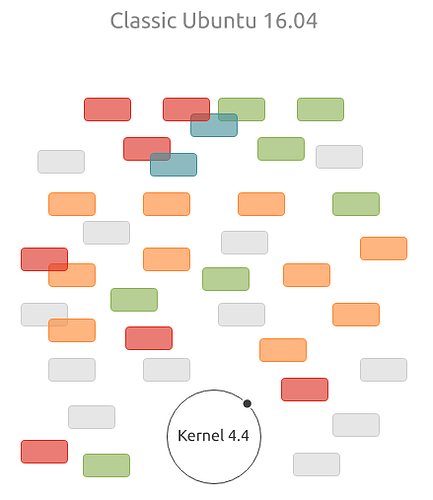 Even the kernel and core are snaps. 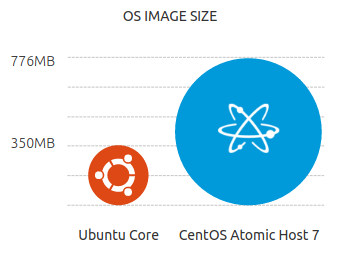 Ubuntu Core is smaller than competing “micro” container OS offerings. It is small because it’s really just a base filesystem. 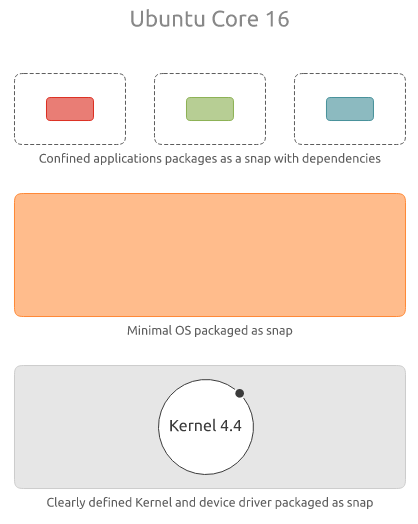 Apps are delivered as snaps, alongside a free choice of container runtimes and coordination systems. And because it’s got a smaller attack surface, it’s much more secure. Snaps on the filesystem are immutable and almost impossible to hack because they are read-only and digitally signed. Their integrity can be verified any time and your system will be secure, from startup to shutdown. 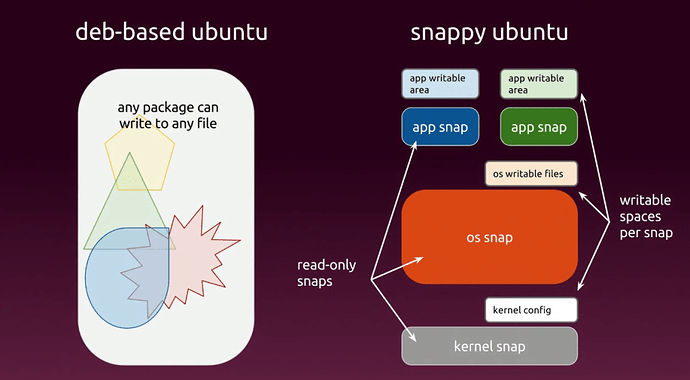 Snaps are optional extensions to the base Ubuntu Core system. They can be provided by any vendor and integrate with any other snaps through secure, well-defined interfaces. So, unlike its rivals, Ubuntu Core cannot lock you in. 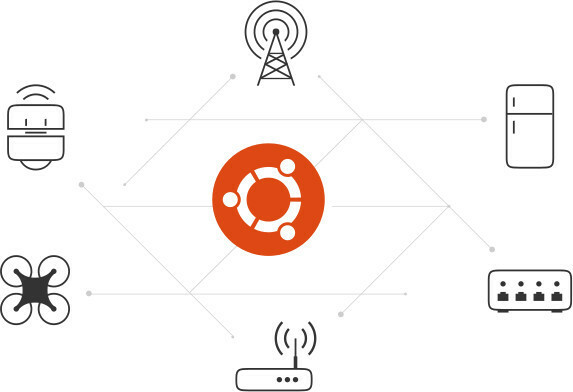 Ubuntu Core supports an unrivalled range of SoCs and single-board computers, from the 32-bit ARM Raspberry Pi (2 and 3) and the 64-bit ARM Qualcomm Dragonboard to Intel’s full range of IoT SoCs. It runs in all the leading clouds too — Amazon, Microsoft and Google include Ubuntu Core images for production container deployments and minimal OS operations. Bei Smartphones geht die Softwareinstallation problemlos mit sogenannten APPs. Sahinter verbergen sich für die Softwareentwickler große Herausforderungen. Als Ubuntu Phone entwickelt wurde, ging man neue Wege und nutzte das Paketformat click. Für den RasberryPi wurde Snappy Ubuntu Core angeboten und nun hält das Snap Format auch im neuen Ubuntu 16.04 Einzug. Es kann mit dem existierenden deb Format koexistieren. Software kann als deb oder snap Paket angeboten werden. Der Unterschied liegt darin, dass snap Pakete, wie bei Docker, eigentlich eher komplette snap Anwendungen sind und vom Rest des System isoliert laufen. Die Snaps können auch aufeinander aufbauen. Vorteil ist die einfache Installation, Nachteil ist der erhöhte Platzbedarf, da nun benötigte Bibliotheken innerhalb eines snap Paketes und damit unter Umständen mehrfach auf einem Betriebssystem installiert werden. Um Snap benutzen zu können muss der ubuntu-core auf einer Hardware oder innerhalb eines Linux Betriebssystems installiert sein. Der Inhalt des Pakets wird im Verzeichnis /snap/nextcloud installiert. In der Liste der Snaps taucht nun auch das Nextcloud Paket auf. 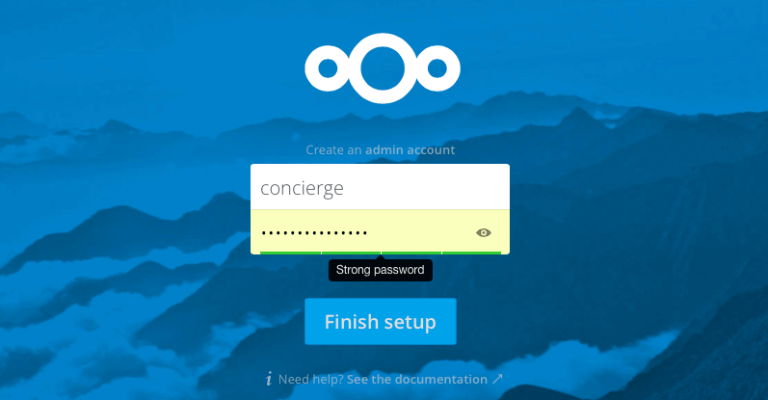 Um die Nextcloud nutzen zu können, muss die IP-Adresse des Servers im Browser aufgerufen werden. Der Installer von Nextcloud fragt noch nach Namen und Passwort des Administrators und danach ist die persönliche Cloud einsatzbereit. Das Snap Format bietet eine einfache Verwaltung für die Installation, Aktualisierung und Deinstallation kompletter Anwendungen in Linux Distributionen. Snap Pakete werden zunehmend von Softwareprojekten angeboten und können auf unterschiedlichen Linux Distributionen genutzt werden.